The right material handing forklift tires to get the job done. A tire designed for demanding environments. Made in the US. 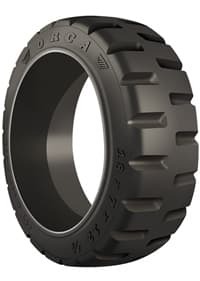 A cost-effective long performance press-on forklift tire.